There is not a Sunday that goes by and there is not any time when one can engage in or hear conversation with people who profess to be Christians that you will not hear the phrase: “In the name of Jesus.” People use the phrase a lot and use it to justify just about anything they do “for” God, but the question is: Do they really know what the phrase: “In the name of Jesus” really means? I have a sneaking suspicion that most people who say it really don’t! We have made it and use it as a religious phrase, but it is actually a legal phrase. It is not a magical formula like “abbra-ca-dab-bra” or “open-says-a-me” that gives power or authority to whatever is tacked on to it! 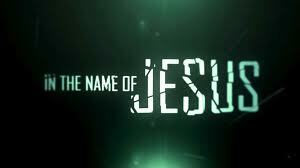 The term: “In the name of Jesus” is the use of the power of attorney. When one has the power of attorney, they are legally authorized to act and/or transact business in the name of someone else. In other words, if you have been given the power of attorney, whatever you do in the name of person who gave you the power of attorney, the law looks upon it as if the person actually did it themselves. When you function in their name, you function as their authorized representative to transact business in their stead and on their behalf. In the legal field, the power of attorney is carefully spelled out with stipulations as to what a person can and cannot do with it. So it is also in terms of using the name of Jesus. What we can and cannot do is spelled out in the Bible, which is the legal document of the Kingdom of God. We can’t just do anything in the name of Jesus! We can only do those things that we have been authorized to do! When we function in the name of Jesus, we act on Christ’s behalf and God looks at whatever we do in Jesus’ name as if Jesus was doing it himself! Hence, anything that is done in the name of Jesus must be consistent with the character, purpose, and will of Jesus. So, I can’t kill anyone in the name of Jesus, because killing someone is inconsistent with the character, purpose and will of Jesus. So, just saying we are doing something in the name of Jesus doesn’t make it so! It is only done in the name of Jesus if: (1) We have been authorized to do it and (2) It is consistent with the character, purpose and will of Jesus. We should be careful in using the name of Jesus, for in using that name, we represent ourselves to be his representatives, transacting his business on earth on his behalf! We don’t want to be guilty of practicing Christianity without a license or of being unauthorized representatives of the Lord. This entry was posted in Exegetical Studies, Teachings and tagged faith, in the name of Jesus, legal, Power of Attorney. Bookmark the permalink.